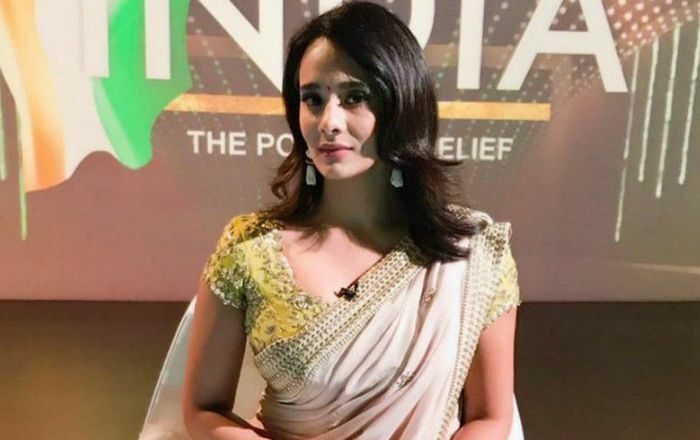 Indian journalist and sports anchor Mayanti Langer who is known for hosting several popular tournaments such as 2010 FIFA World Cup broadcast on ESPN, 2010 Commonwealth Games, 2011 Cricket World Cup, 2014 Indian Super League and 2015 ICC Cricket World Cup. Mayanti Langer was born on 8 February 1985, in New Delhi, India. Mayanti holds a Bachelor of Arts (Hons) degree from Hindu College, Delhi University, New Delhi. Mayanti Langer married Indian cricketer Stuart Binny in September 2012. She is 4 years older than Binny. Mayanti Langer hasn’t appeared in any film yet. In 2010, She guest anchored the FIFA beach Football. Her work in television circuit as a sports anchor. Mayanti is one of the most sought-after sports anchors who has a massive following in the country. She earns between Rs 30 lakh to Rs 50 lakh annually and has an estimated net worth of $1 million US dollars. She wanted to become a graphic designer as a teenager. She developed an interest in football whilst in college and also played for her college football team. Being a fabulous sports journalist with an outspoken personality, she gained success with her first broadcast in the FIFA beach football. She then went on to work as a host and associate producer for Football Cafe on Zee Sports. Thereafter, she has hosted several sporting events including the 2010 Commonwealth Games, 2011 Cricket World Cup, 2014 Indian Super League, and 2015 ICC Cricket World Cup. She will be co-hosting IPL 2018 along with other beautiful female anchors.